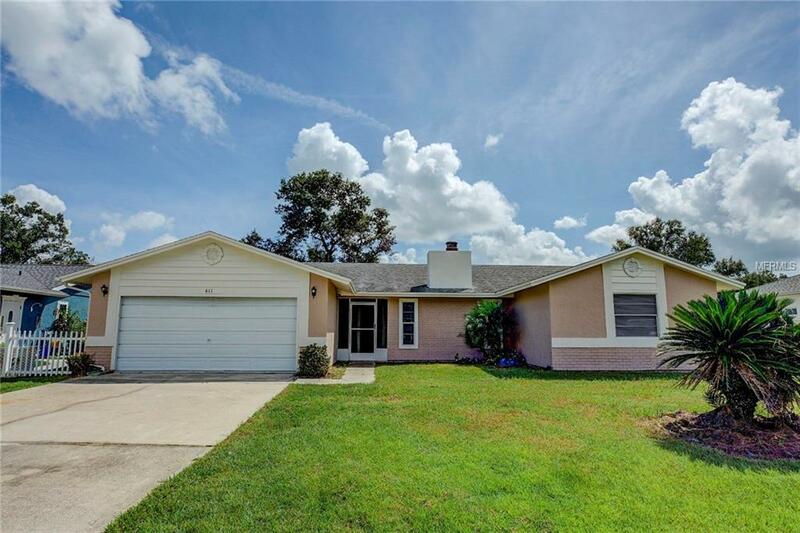 Bright, open, and versatile, this Kissimmee property is available now! The layout consists of four bedrooms, two bathrooms, living room with fireplace, a dining room, kitchen with appliance package, interior laundry room, and two-car garage. With neutral tones and tiled floors throughout, this home will beautifully embrace a variety of design ideas. Outdoors, a front entry screen enclosure allows the home to be opened up comfortably on breezy days, and a tiled and screen-enclosed patio in the back allows for relaxation in the shade. The backyard is fenced for privacy with a lawn ready and waiting for gardening or recreation potential. 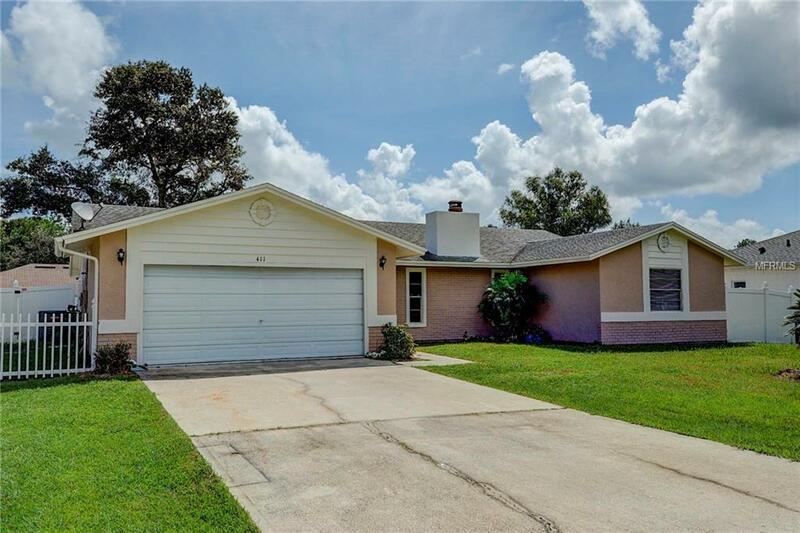 This home has been maintained with the following recent updates: New dishwasher, range, and microwave in the kitchen; fresh interior/exterior paint; new patio screens; new vanity in the guest bathroom, new garage door, new A/C installed in April 2018 and electrical updated in January 2019. 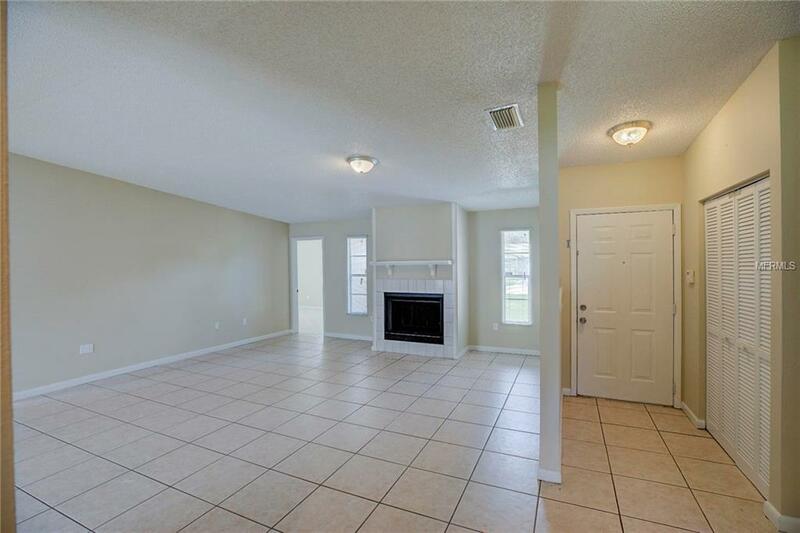 Schedule a tour and come see this home sweet home. Call today!